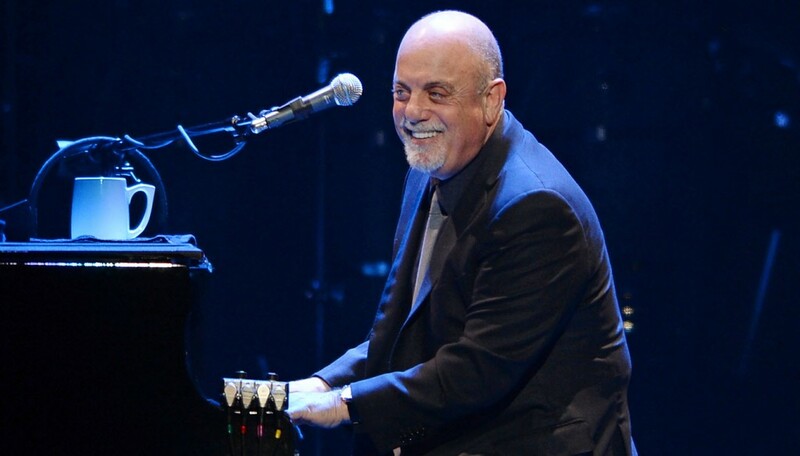 Four decades after becoming one of New York City’s most beloved homegrown rock icons with his debut smash “Piano Man,” Billy Joel is still blazing trails in The Big Apple. In January 2015 Joel performed his 13th consecutive sold-out show at Madison Square Garden, setting a record that he’ll continue to break with his ongoing residency at the historic arena. When he takes The Garden stage for the 65th time at his July 1st show, he’ll edge out Sir Elton John for the lifetime record of most performances at MSG. As if that wasn’t exciting enough, Joel is rounding out his residency with a hotly anticipated tour that brings his career-spanning live show to stadiums and amphitheaters across the country. Anthems like “We Didn’t Start the Fire” and “Still Rock and Roll to Me” were practically made for the arena, so get ready to throw your lighters (or smartphones!) in the air and relive 40 years of Joel’s greatest hits. Here we’ve rounded up the essential Billy Joel music videos to get you warmed up for the show. 1. “Piano Man” Joel’s star-making 1973 debut finally got the video treatment in 1985. The lyrics of the song are poignant, but good luck finding a more feel-good clip than the convivial, Cheers-esque bar scene featured here. 2. “Just the Way You Are” This vintage-hued 1977 clip of Joel performing the classic love song was so damn good Sony Music Entertainment released it as the official music video. Between his pitch-perfect vocals and the seriously epic sax solo, it’s hard to pick a favorite moment. 3. “My Life” The video for this funky, defiant jam from Joel’s fifth album 52nd Street features the Piano Man and his band descending from the sidewalks of Midtown Manhattan to a basement studio, where they proceed to let loose with a high-spirited performance. 4. “It’s Still Rock and Roll to Me” Joel donned a skinny tie and proved he could ride the new wave with the best of them in the attitude-filled video for this 1980 anthem. Hot funk, cool punk, even if it’s old junk…it’s still rock and roll to Joel. 5. “Tell Her About It” This swinging, horn-filled homage to Motown got the retro video treatment to match its nostalgic sound. Throwback highlights include an Ed Sullivan Show-inspired TV performance by Joel, a snapshot of ’50s TV dinner culture, Russian astronauts dancing in space, and a special cameo by comedian Rodney Dangerfield. 6. “Uptown Girl” The Piano Man told radio shock jock Howard Stern that this upbeat favorite from his 1983 album An Innocent Man was inspired by his relationships with ’80s supermodels Christie Brinkley and Elle Macpherson. The video features Joel as an auto shop grease monkey, wondering if a “backstreet guy” like him has a shot with the uptown girls of the world (in his case the answer was a resounding yes). 7. “The Longest Time” The finger snaps and multi-part harmonies of this catchy doo-wop number were perfectly complemented by a video featuring Joel and a group of pals roaming the halls of their old high school. 8. “We Didn’t Start the Fire” The rapid-fire lyrics of this 1989 chart-topper allude to more than 100 headlines culled from its release date and Joel’s birth year (1949). The video keeps pace, taking viewers on a visual journey that spans five decades in just around four minutes. 9. “The River of Dreams” This sepia-toned video for this soulful Grammy-nominated classic features Joel and a trio of backup dancers singing on a historic railroad bridge. Don’t miss the cameos by then-wife Christie Brinkley and the pair’s seven-year-old daughter Alexa Ray Joel. 10. “New York State of Mind” This epic clip of Joel and Tony Bennett knocking live favorite “New York State of Mind” out of the park is essential viewing for anyone heading to see The Piano Man work his magic in concert. Enjoy. As you can see, Joel is one heck of a live performer and his pipes are perfectly preserved. Whether you’re catching him at his Madison Square Garden residency or heading to an arena closer to home, you’re in for a serious treat. Check out a full list of upcoming shows and pick up your Billy Joel tickets today.